The harbor in Monaco is divided into two areas. Port de Fontvieille is the inner harbor, known for the marina where the luxury yachts dock. Port Hercule is the outer harbor in the shadow of the Rock of Monaco. 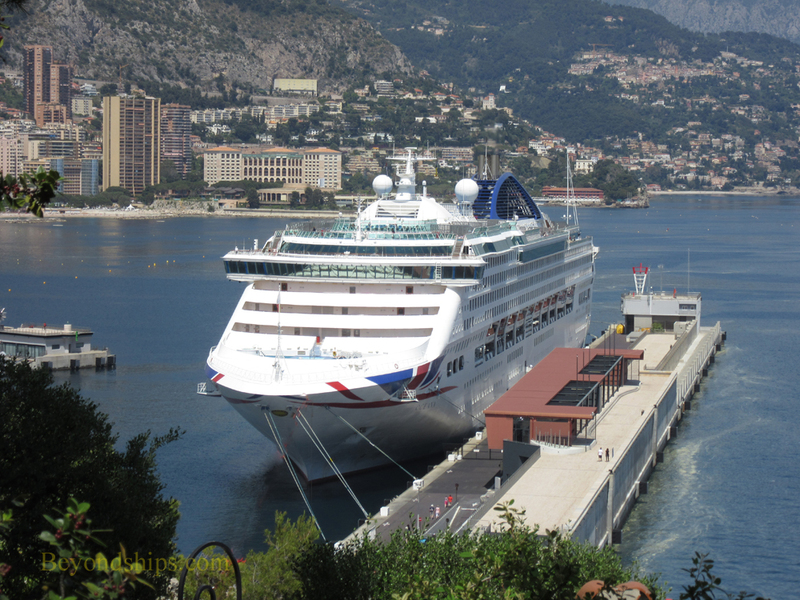 Following the construction of a 352 meter long sea wall, a new cruise ship pier was built in 2003 in Port Hercule. 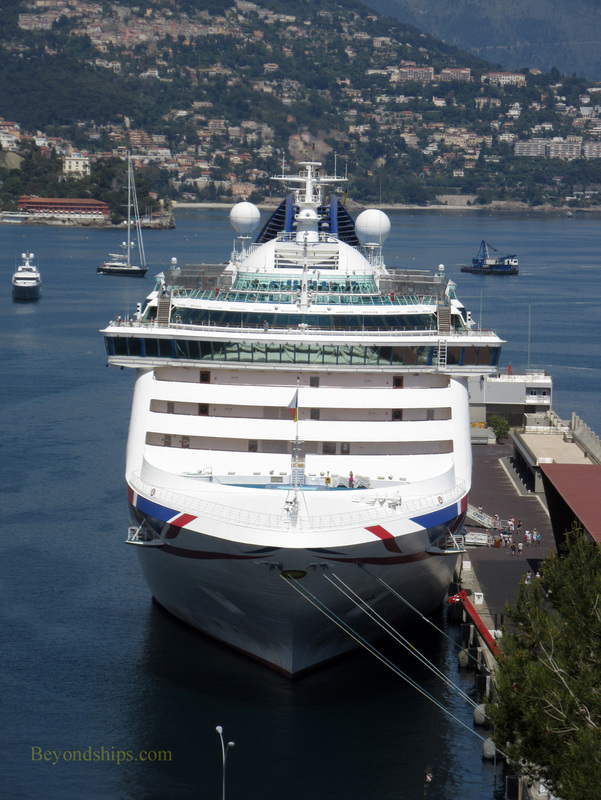 As a result, large cruise ships, up to 300 meters in length, can now dock in Monaco. The cruise ship facilities also include a terminal building. Because Monaco is so small, it is possible to walk around the city's attractions. 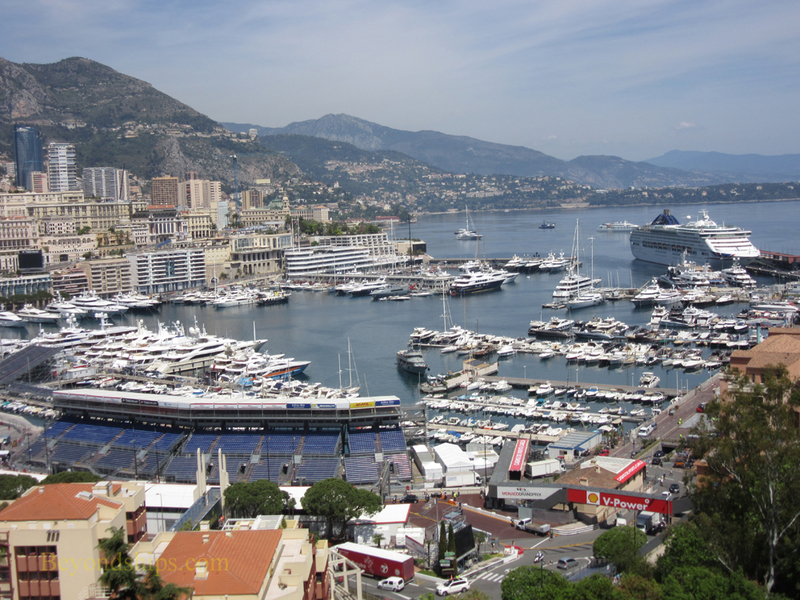 Thus, it is relatively easy to walk around the Rock or around Monte Carlo. However, walking between the different districts of the city can be difficult because it is a hilly town with steep slopes. As a result, many visitors prefer to use the city bus system. There are also hop on, hop off buses and a tractor train that runs around the tourist areas. As mentioned above, the cruise port lies in the shadow of the Rock. On top of the Rock are the Prince's Palace, the Cathedral, the Oceanographic Museum and several other attractions. An alternative to walking up the stairs to the top of the Rock is to walk along the sea wall from the cruise terminal to the parking structure that sits beneath the Oceanographic Museum. The parking structure has elevators and escalators that will take you to the top. 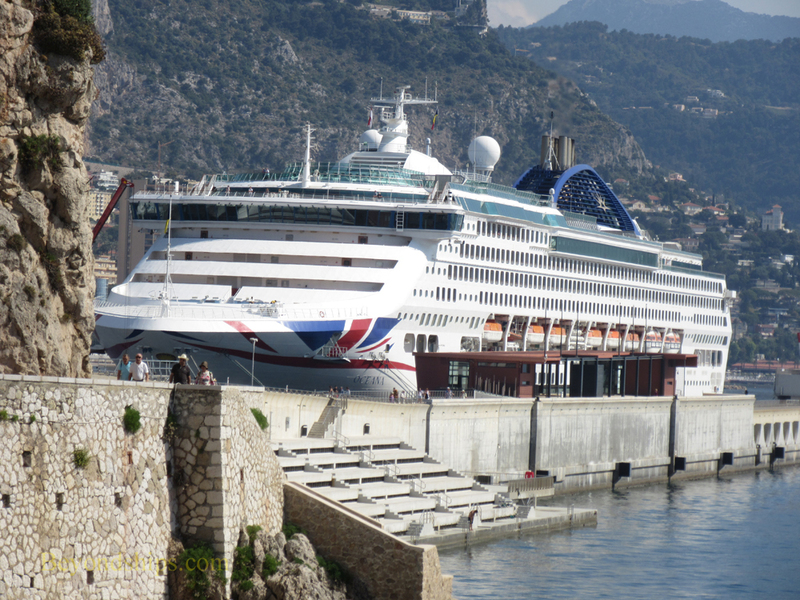 Above and below: P&O Cruises' Oceana at the Monaco cruise terminal. 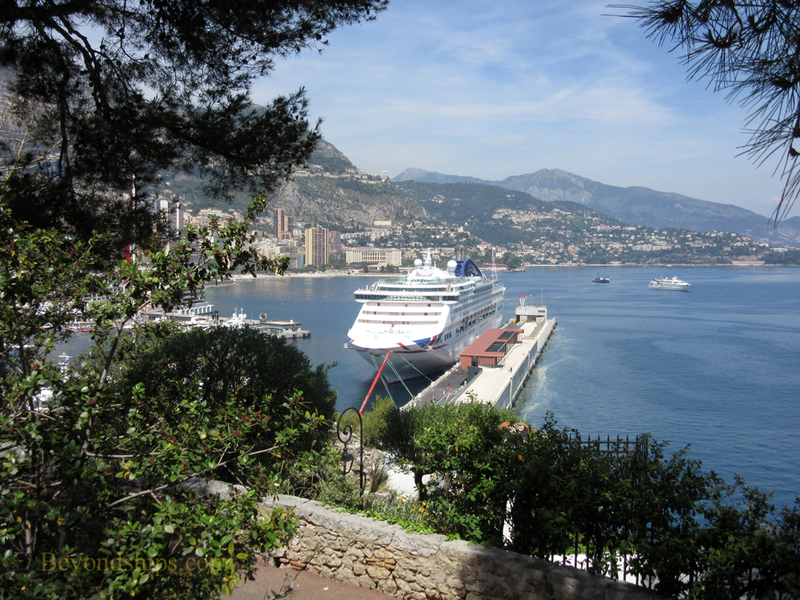 Although the cruise terminal is next to the Rock of Monaco, it is a long walk due to the fact that the attractions are on top of a plateau with steep cliffs. However, visitors can walk along the sea wall from the cruise terminal to a parking structure that has elevators to the top of the Rock.